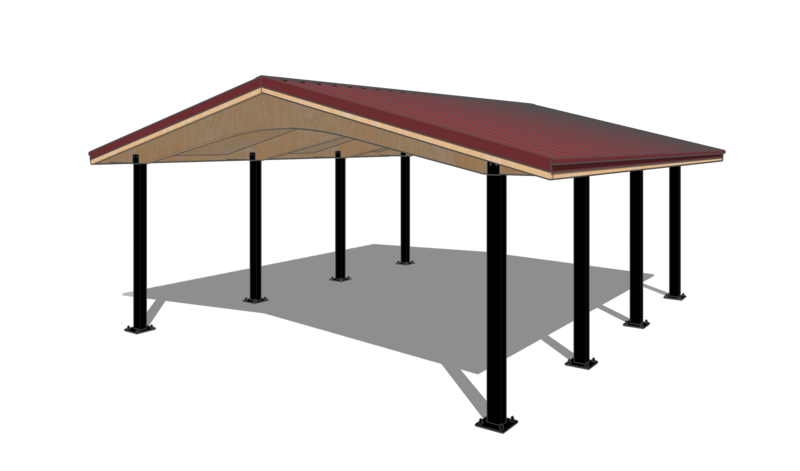 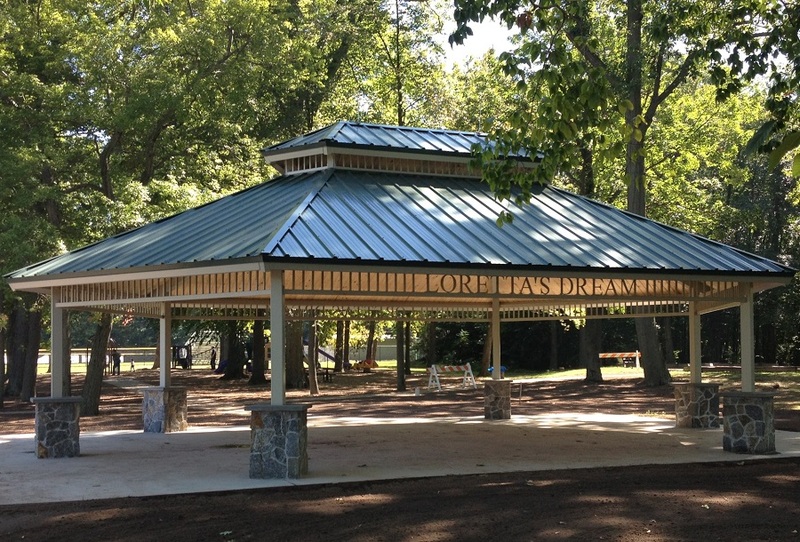 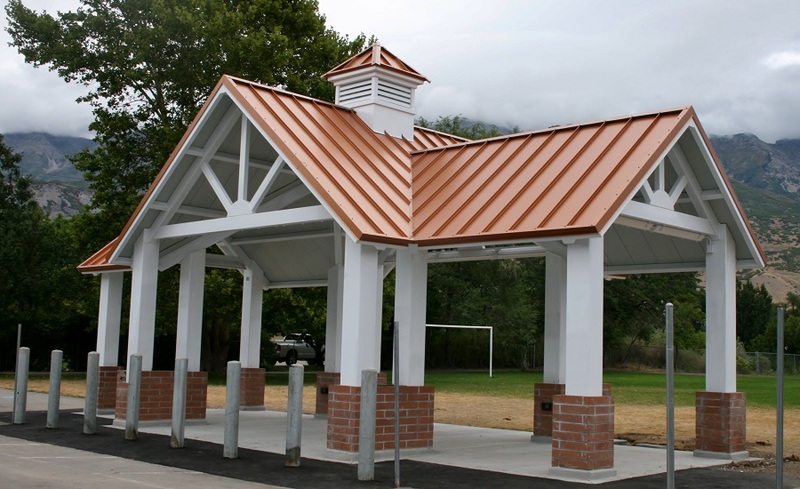 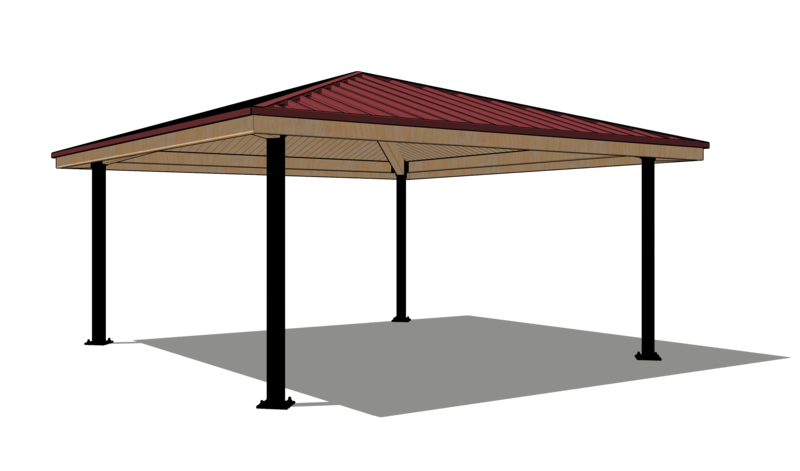 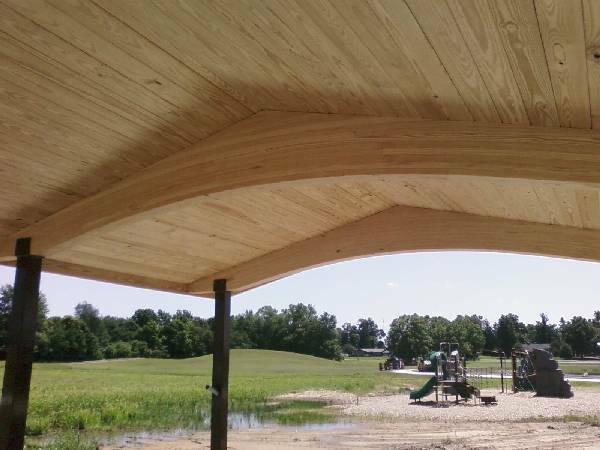 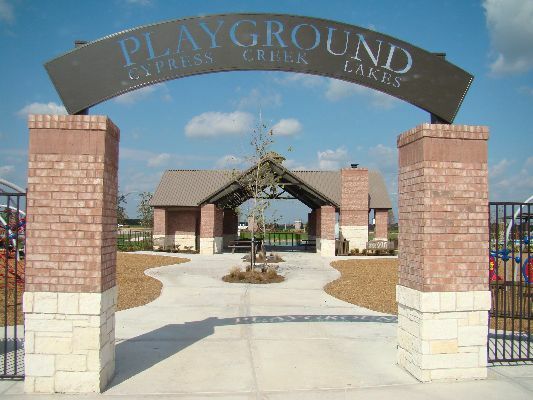 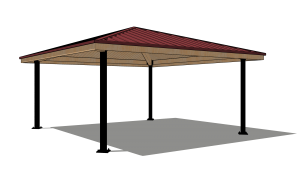 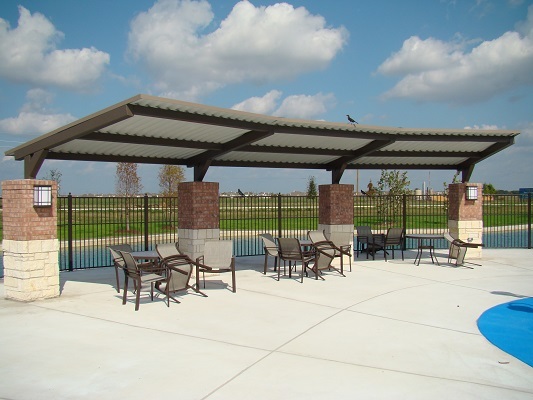 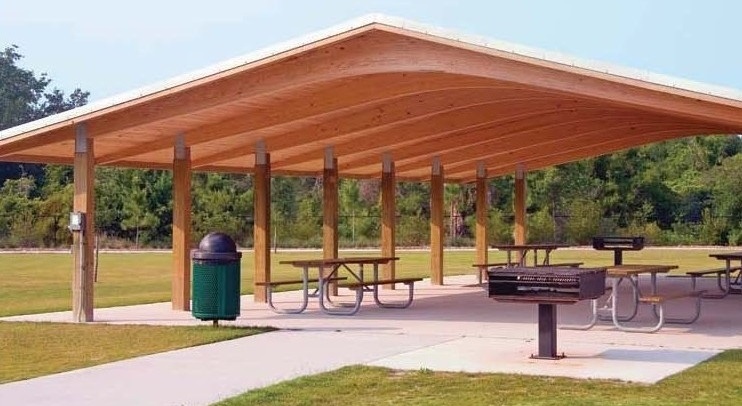 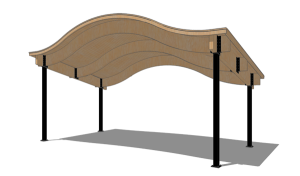 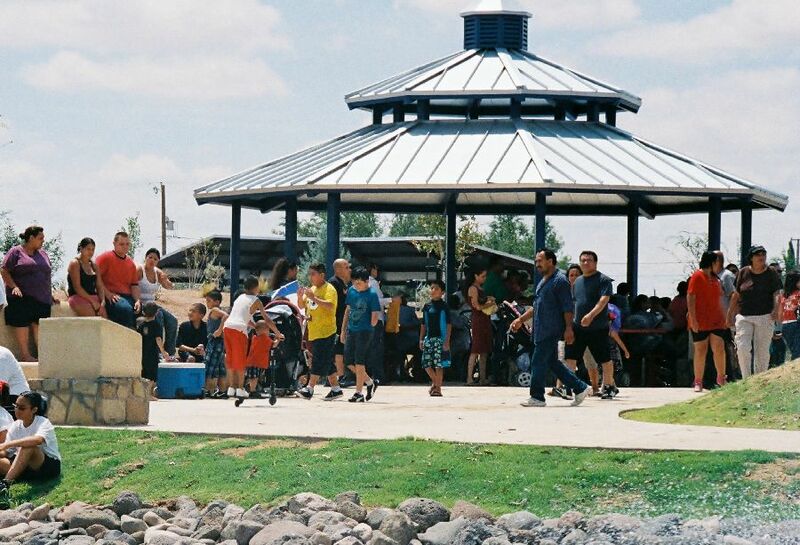 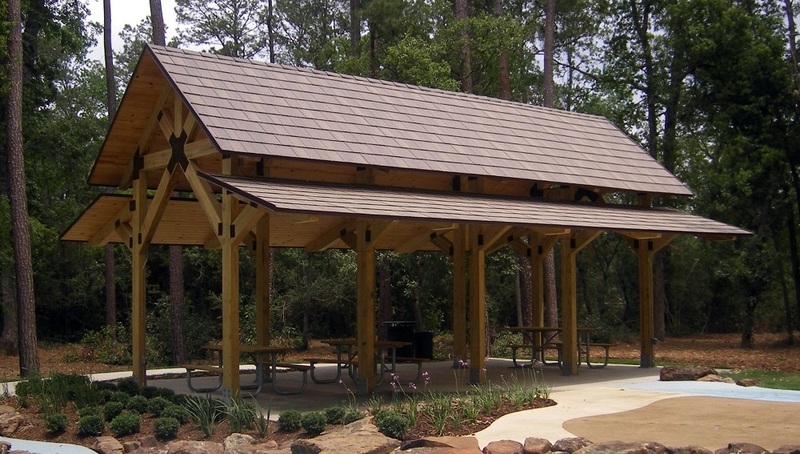 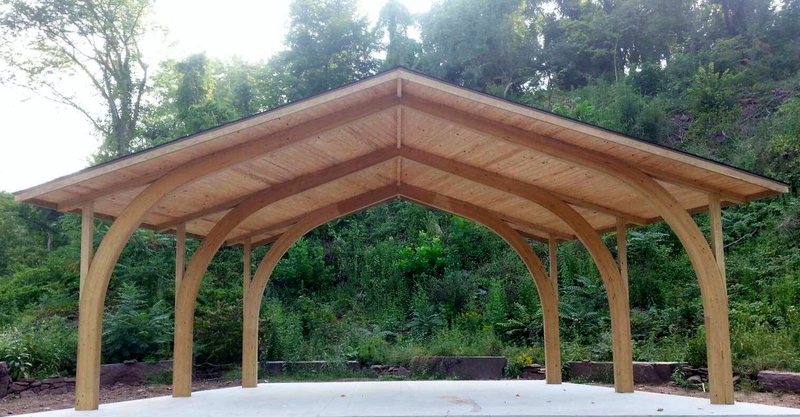 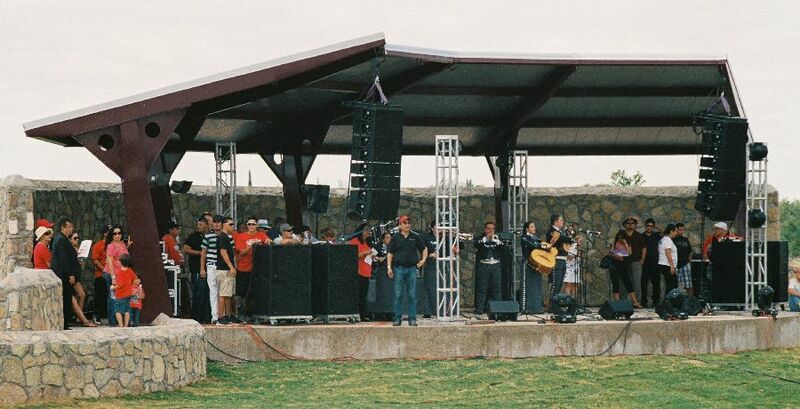 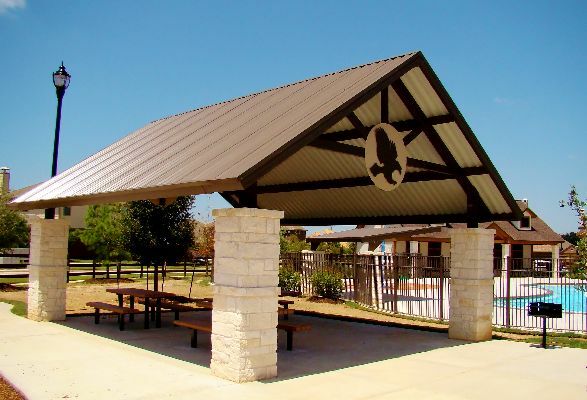 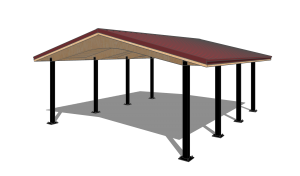 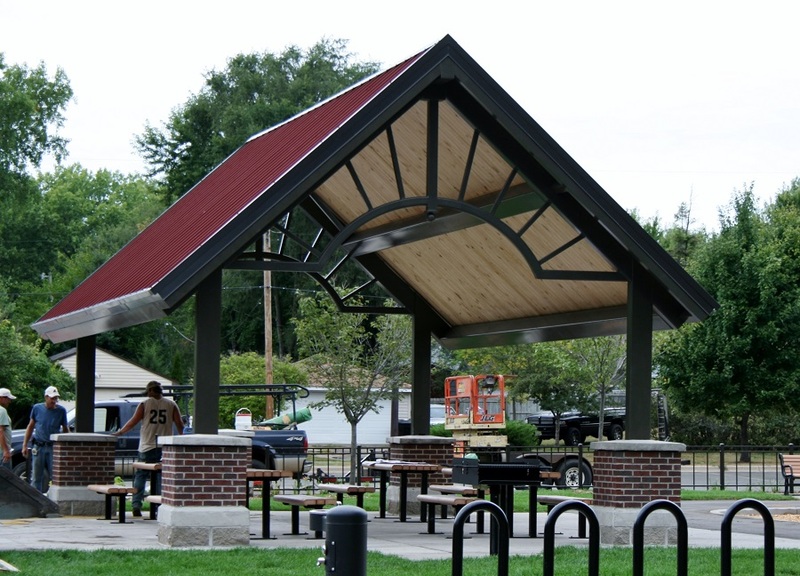 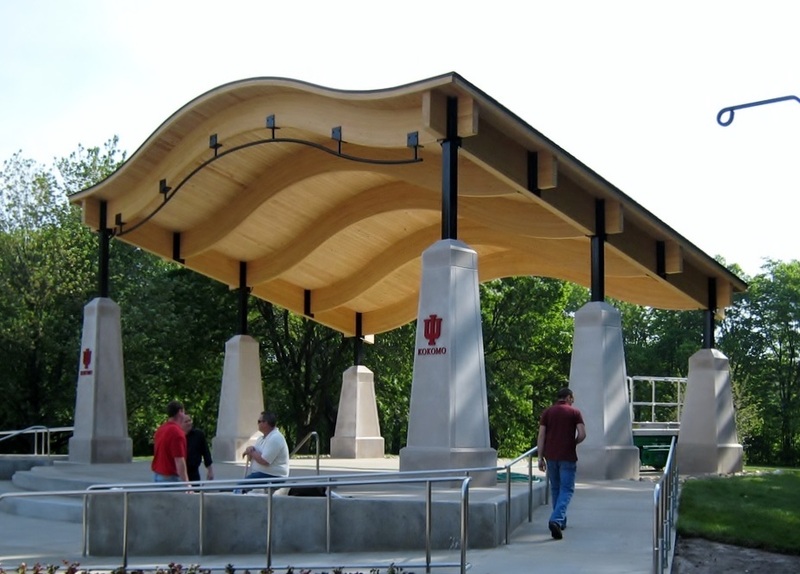 From standard gable shelters to custom centerpieces, all Wordworx shelters come standard with 2″ x 6″ Southern yellow pine tongue & groove decking with metal or shingle roofing, glue laminated framing, pressure treated columns and powder coated steel connecting plates. Columns and rafters can be upgraded to powder coated tubular steel as seen below. 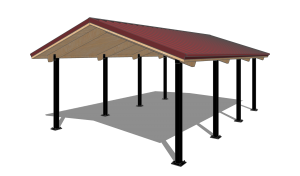 Various roof and column options are available. 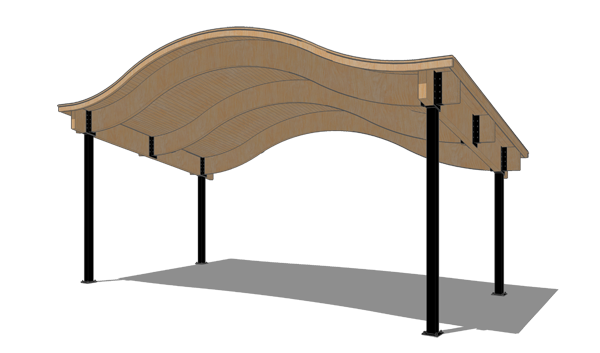 Vented Top design available on may Woodworx models. 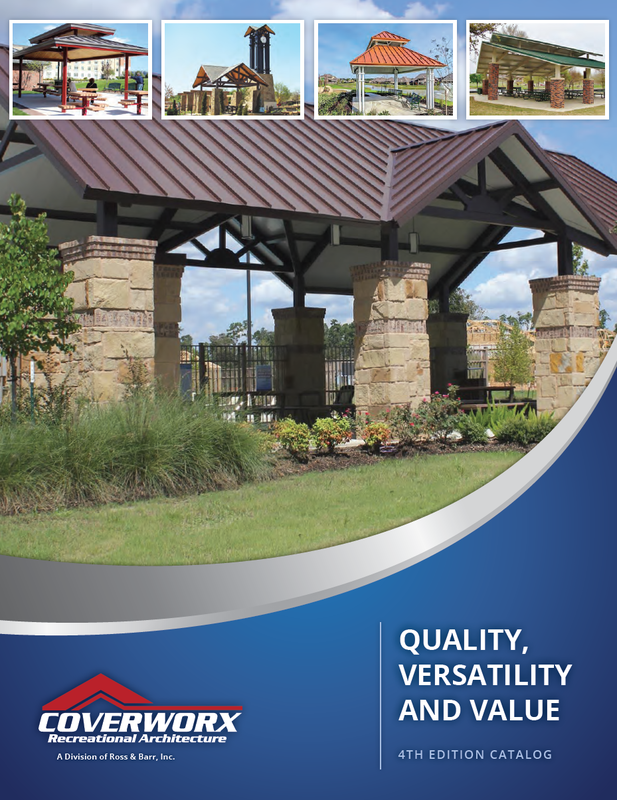 HEXAGONS, OCTAGONS, SQUARES & MORE! 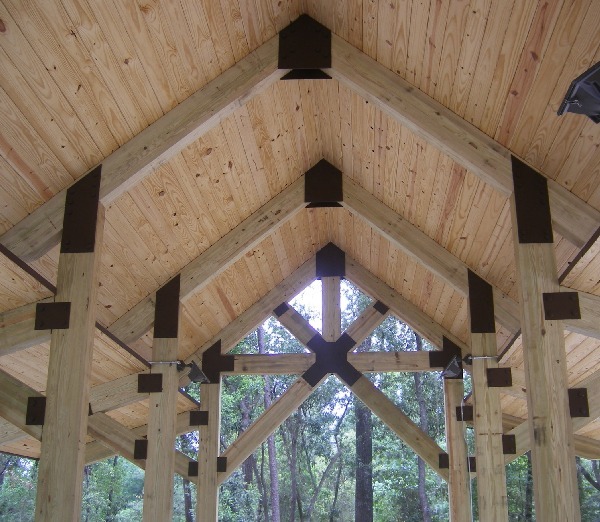 Custom Shapes and sizes are our specialty; contact us for details!